I’m one of those annoying people who can’t help but enter the water at the beach or swimming pool painfully slowly. It’s a well known fact amongst those who know me that I hate feeling cold and I’m not particularly fond of winter. I loathe holidays in cold places, and I simply can’t make any sense out of paying good money to shiver and shake when instead I can be lying on a beach in the hot sun. My mother for one is baffled as to how someone of Russian stock can be so prone to feeling the cold. After all, we Russians are descended from the Vikings. 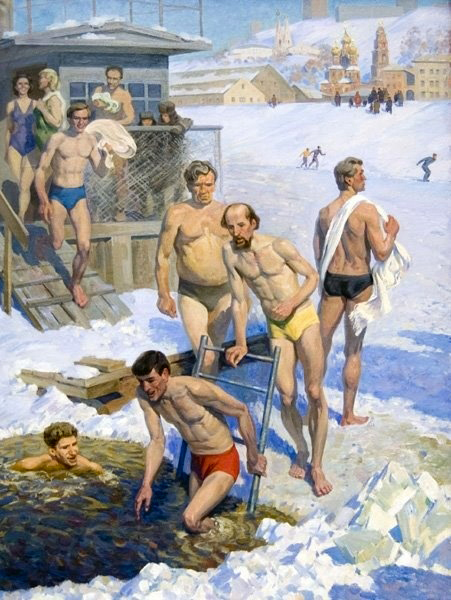 We’re supposed to actually enjoy feeling cold and take any opportunity to throw our near-naked bodies into frozen rivers and lakes in order to feel invigorated. I could honour my Viking ancestry by doing just that, but I can think of at least a dozen other ways to make myself feel alive that don’t involve getting frostbite. For instance, eating a bowl of warm porridge whilst wrapped in a blanket with a hot water bottle on my lap sounds like a far more appealing option. Porridge use to be one of those foods I could take or leave, (usually leave). Then one day about ten years ago, I ate a magical incarnation of it at Sydney’s Kazbah restaurant in Balmain. Renowned for their “tastes of Arabia” menu, Kazbah managed to change my opinion that all porridge was bland and boring gruel belonging only in Dickensian novels as foodstuff that orphans and inmates ate. With just one spoonful of their porridge I was convinced that this was a indeed a dish that graced the breakfast table of gods. If it was possible to make oats taste this wonderful, I wanted to know how to do it. I sought my mother’s counsel and she informed me that one must always soak the oats in water overnight and this makes them silkier and easier to cook. I did so and then added some of the beautiful flavours found in Middle Eastern cuisine such as rosewater and date molasses. These balance out the banana perfectly and the result is a fragrant and satisfying porridge. As quinces and rhubarb are in season in the cooler months, they come together in the accompanying ruby-hued compote to create a perfect union of floral and tart flavours. The date and vanilla paste adds a final caramelly sweetness to the dish. 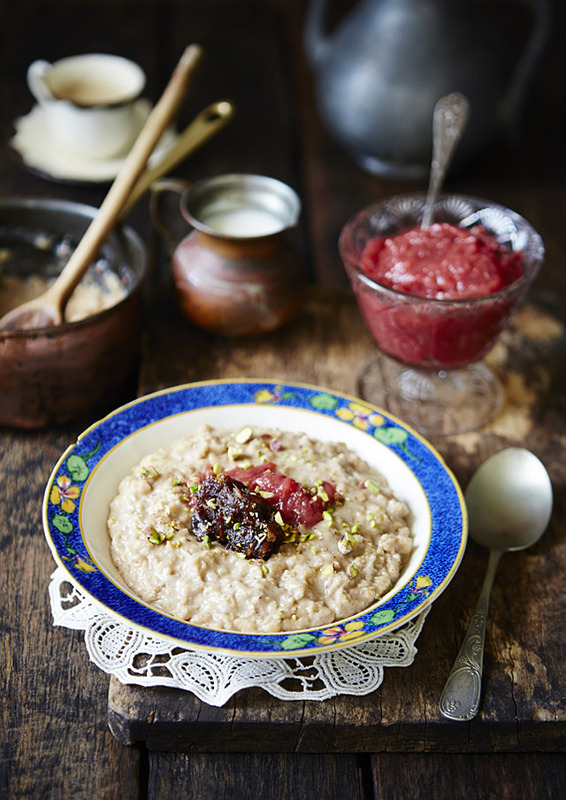 A regular at my breakfast table at this time of the year, the porridge and compote make a warming start to a cold winter’s day. I believe this is undoubtedly a much better idea than throwing oneself into a frozen lake and a far more inviting one at that. The Vikings may not have agreed with me, but I’m pretty sure you will. Prep time 20 mins, cooking time approximately 1.5 hours. Makes around one and a half cups. 1. Place quinces into a heavy based saucepan, add the half cup water, 1/4 cup sugar and 1/4 cup honey, cardamom pods, star anise and vanilla bean and bring to the boil. Reduce heat to low, cover and simmer for 45 mins stirring occasionally. Serves 4-6. Prep time 15 mins (plus overnight soaking), cooking time 30 mins. * If you like your porridge on the sweet side, add the tablespoon of sugar. If you like it only barely sweet, leave it out. 1. Place the drained oats in a heavy based saucepan and add the milk, honey, date molasses, sugar, vanilla, salt, cinnamon, cardamom and nutmeg. Cook stirring over medium heat for 15 minutes before adding the banana and rosewater. If the porridge gets too thick you can thin it out with more milk or some water. Continue stirring for a further five minutes, then turn off the heat and place a lid on the saucepan. Let the porridge sit for 10-15 minutes before serving as it will continue to absorb more moisture and soften further. Makes 2/3 cup. Prep time 10 mins, cooking time 15 mins. 1. Place the dates, water, cinnamon and vanilla bean into a small heavy based saucepan and simmer for 15 minutes, stirring occasionally. The dates will absorb all the water and break down, you can also assist the process with a wooden spoon. Let the paste sit for at least 10 minutes prior to serving to ensure all the dates have softened completely. Remove the cinnamon stick and vanilla bean before serving. 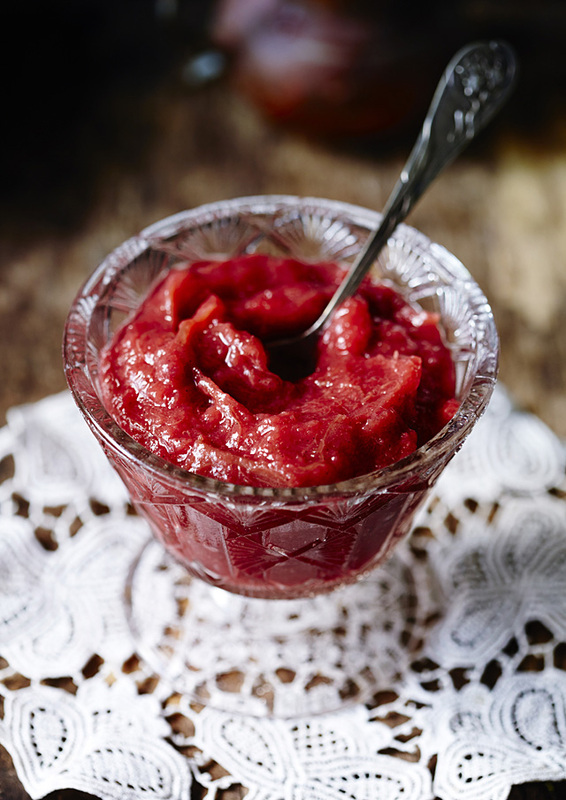 Serve the porridge with the compote dolloped on top and a smaller dollop of the date and vanilla paste. You can also serve with plain Greek yoghurt, some warm steamed milk and crushed toasted nuts such as pistachios or almonds. I wanted to evoke a dark wintery atmosphere in the photographs for this recipe so I used a lot of dark wood and vintage props. The timber surface was made out of recycled fence palings stained a dark walnut. The antique English bowl, depression glass dish and little Portugese copper jug were all found in local council hard rubbish collections. The coffee pot in the background is a vintage Danish piece and was found at a local op-shop along with the doily and coffee cup and saucer. The vintage copper saucepan and wooden spoon both belonged to my mother who parted with them purely for the reason that I nagged her incessantly for them. The only light used in these images is window light. We are in summer here in Istanbul but I am saving both ideas for the colder days. I loved your Middle Eastern makeover of kasha and the compote idea is superb! And your styling notes are always so useful and inspiring, Tanya! Love the photo, and the recipes sound absolutely wonderful!! !